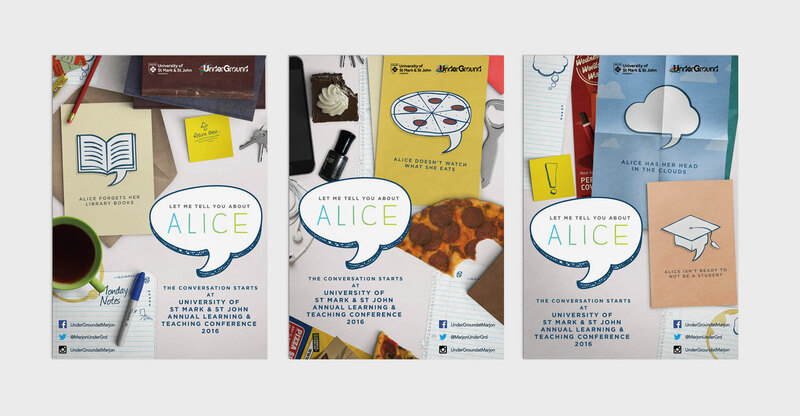 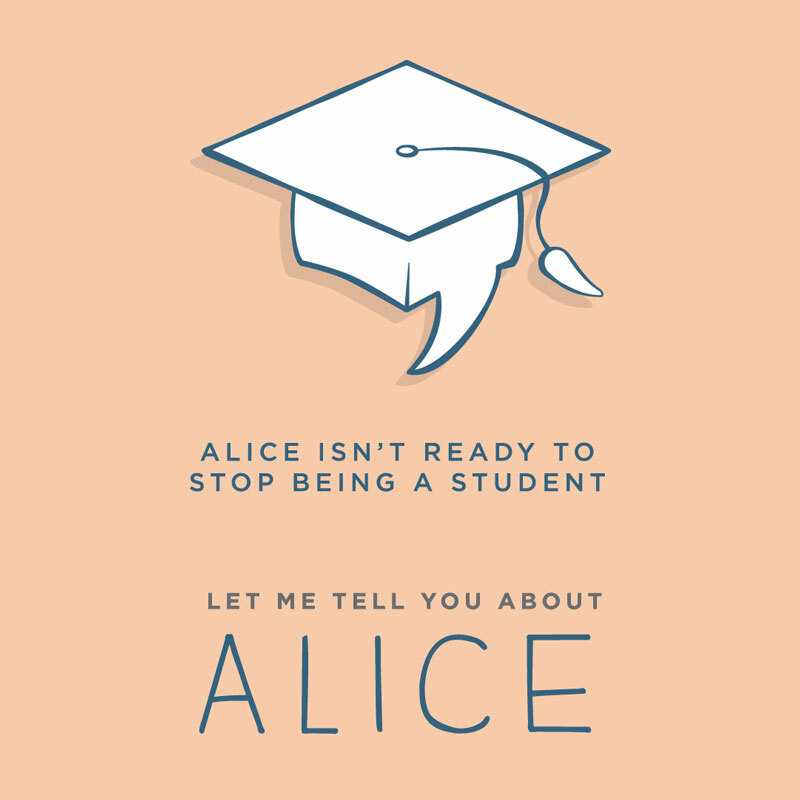 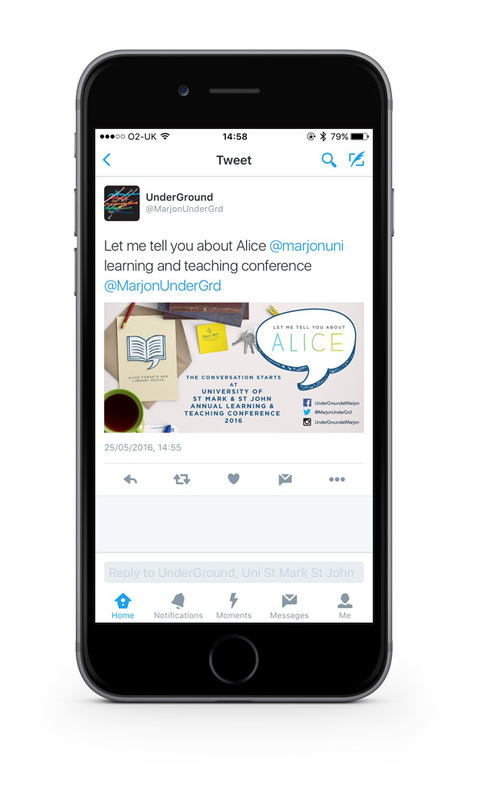 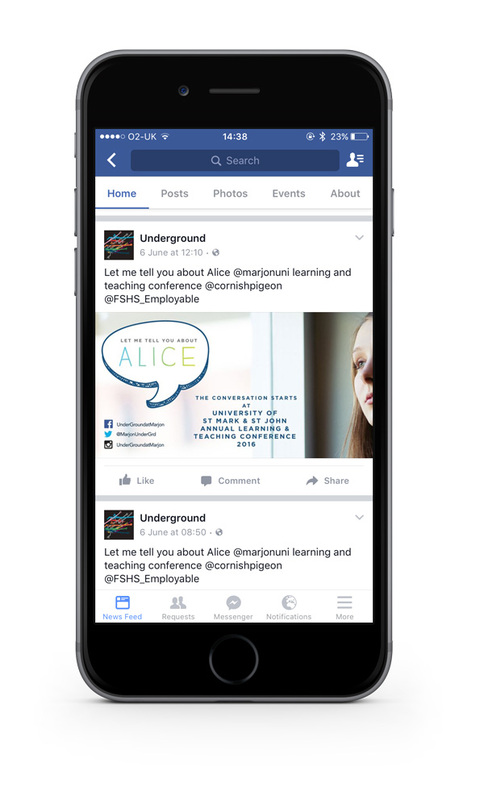 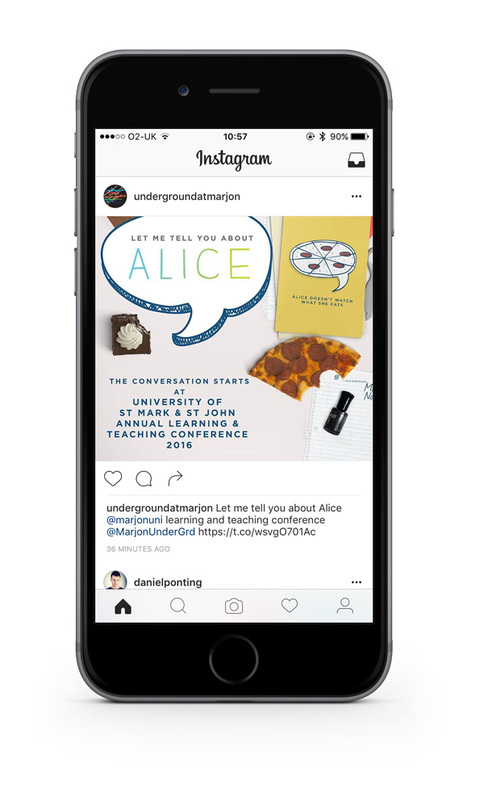 Let Me Tell You About Alice is a campaign designed by the employability department at The University of St Mark and St John to start a conversation with academics through the use of a fictional student character, highlighting ways to improve student engagement and in turn provide the best possible support for employability during and after degree level education and to generally improve the student experience. 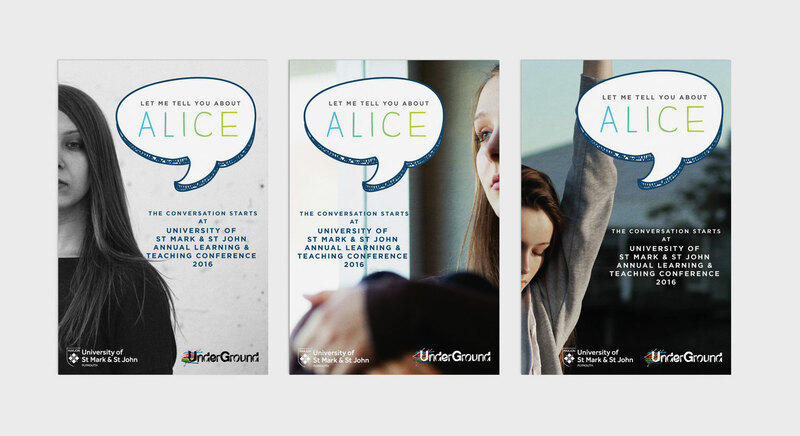 Working closely with the employability department we created a campaign to generate interest and attention ahead of a Destination of Leavers from Higher Education data driven conference presentation, generating the idea of a distinct character narrative through hints and imagery, while still trying to maintain a lack of specificity congruent with the core idea that ‘Alice’ might be any student. 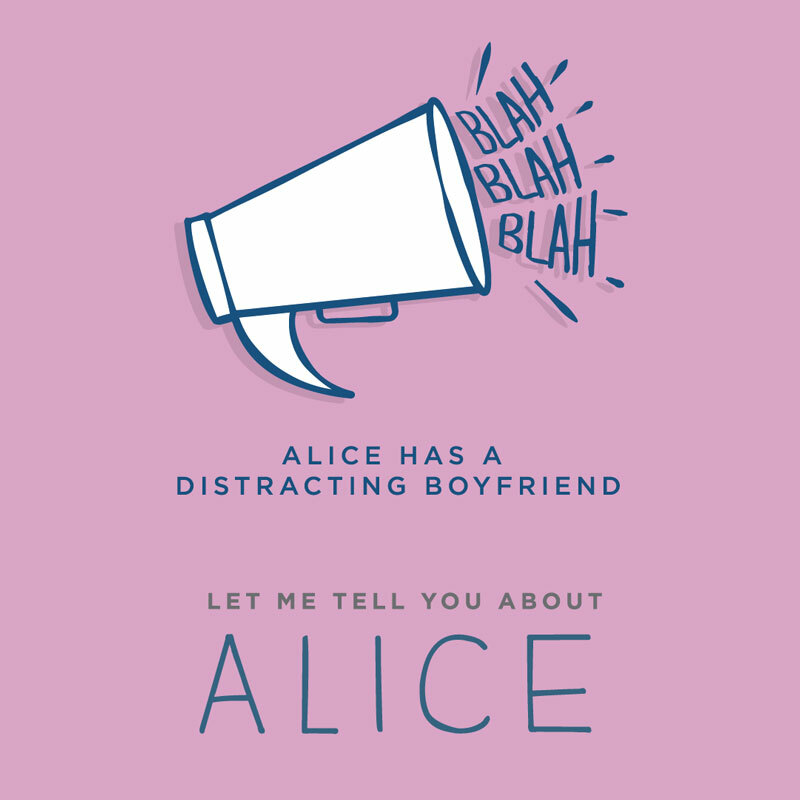 The very initial phase was a postcard mail out with a cropped/obscure female character as the focus to generate initial mystery and interest. 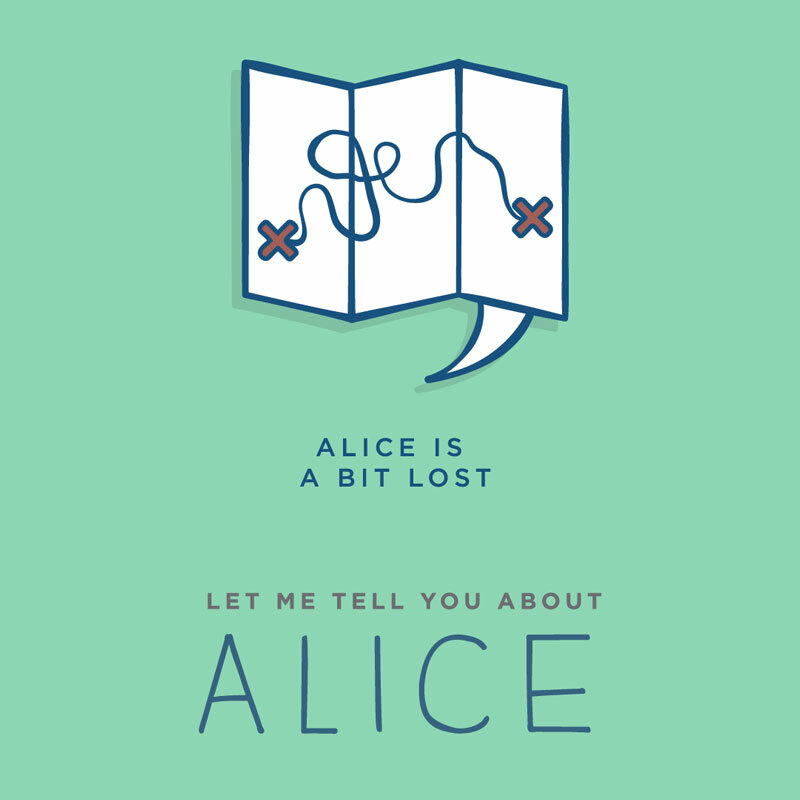 The secondary promotion phase included more detailed ‘scenes’ which highlighted aspects of the Alice character to give more information and maintain intrigue. 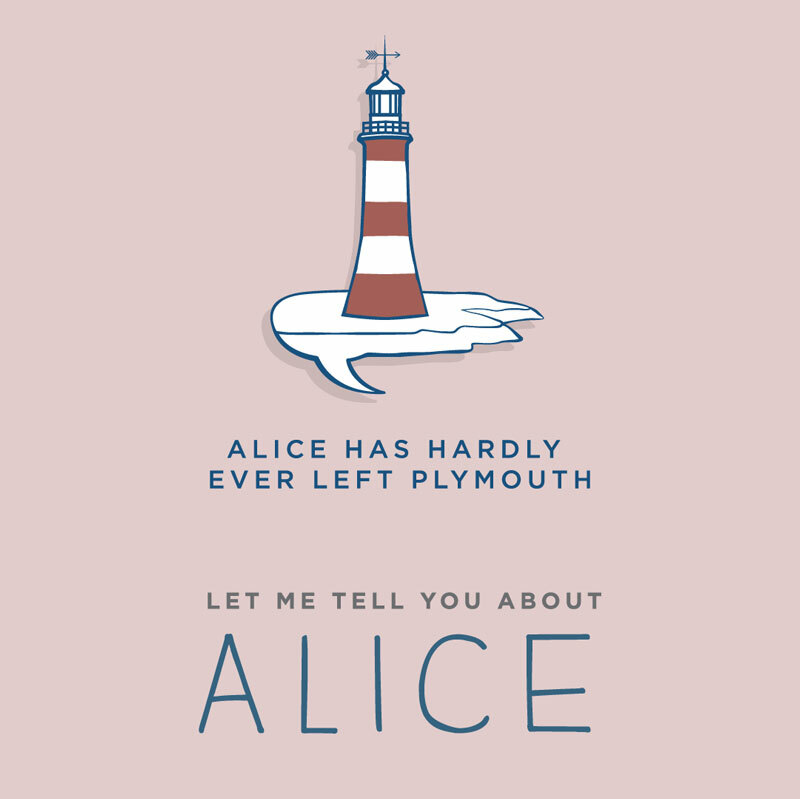 These scenes were populated with narrative postcards or flyers which formed thematic speech bubbles and snippits of character identity. 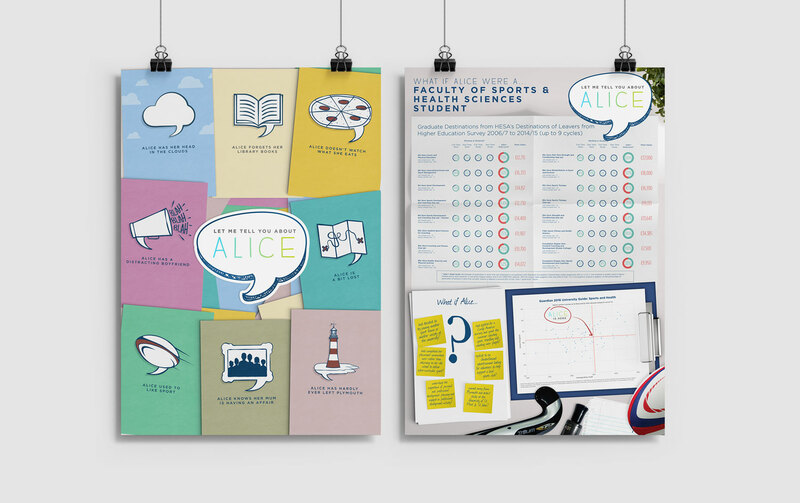 The final phase of this part of the campaign was to visualise DLHE data, and to create some more specific narrative illustrations. 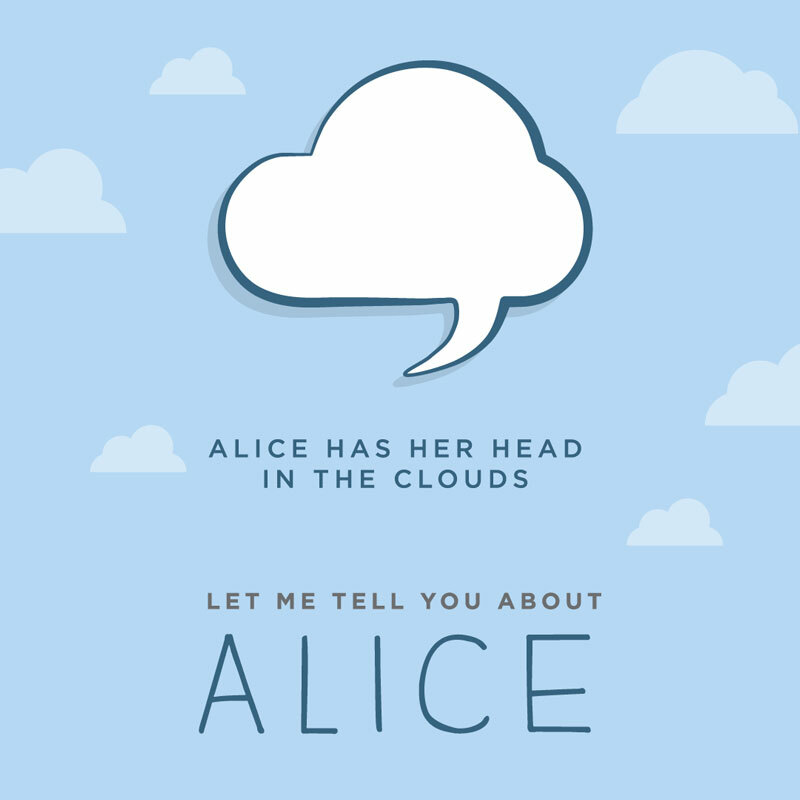 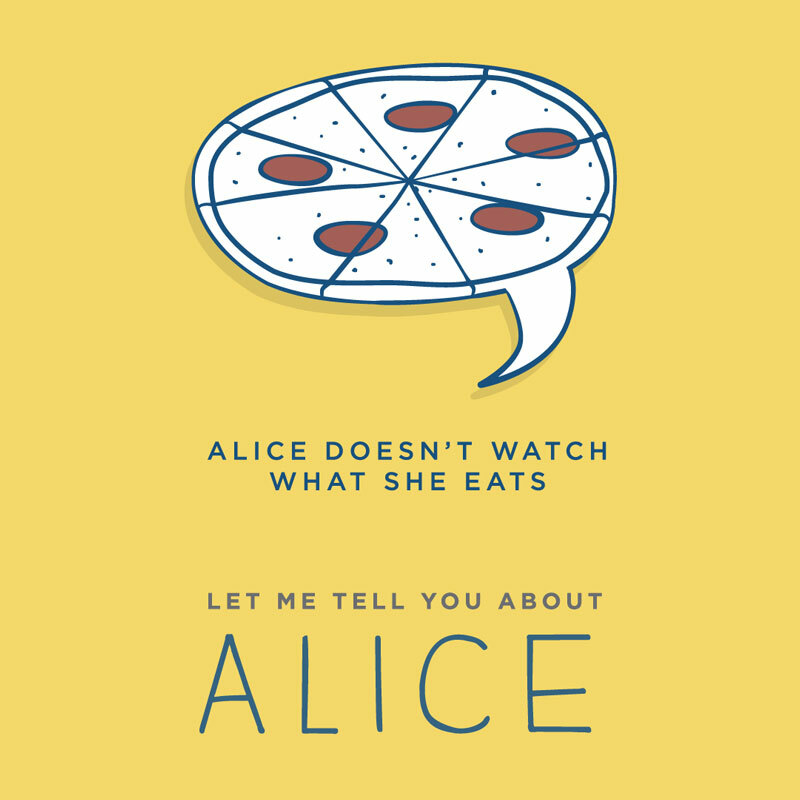 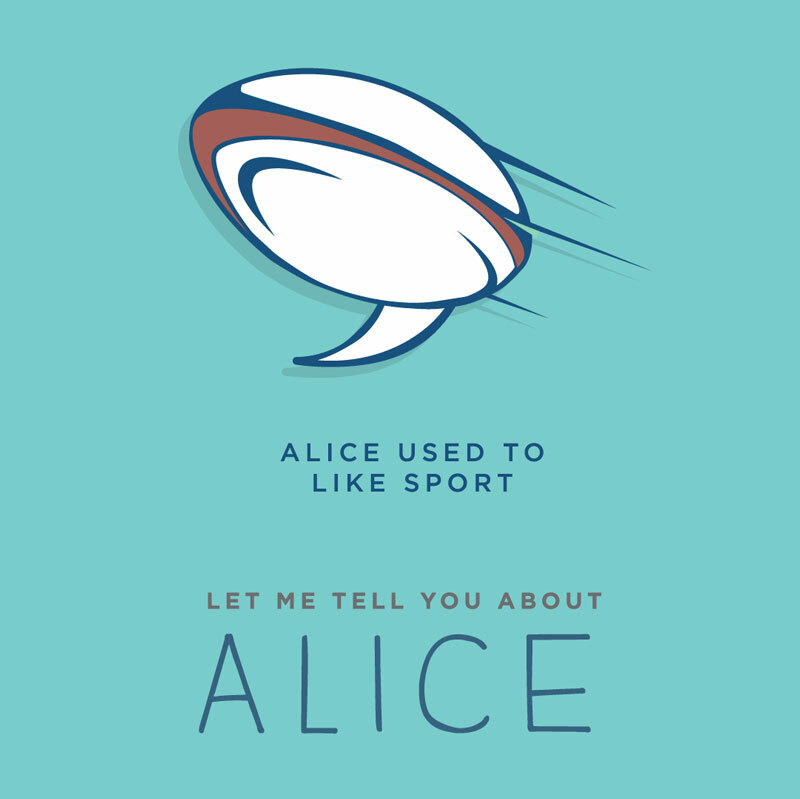 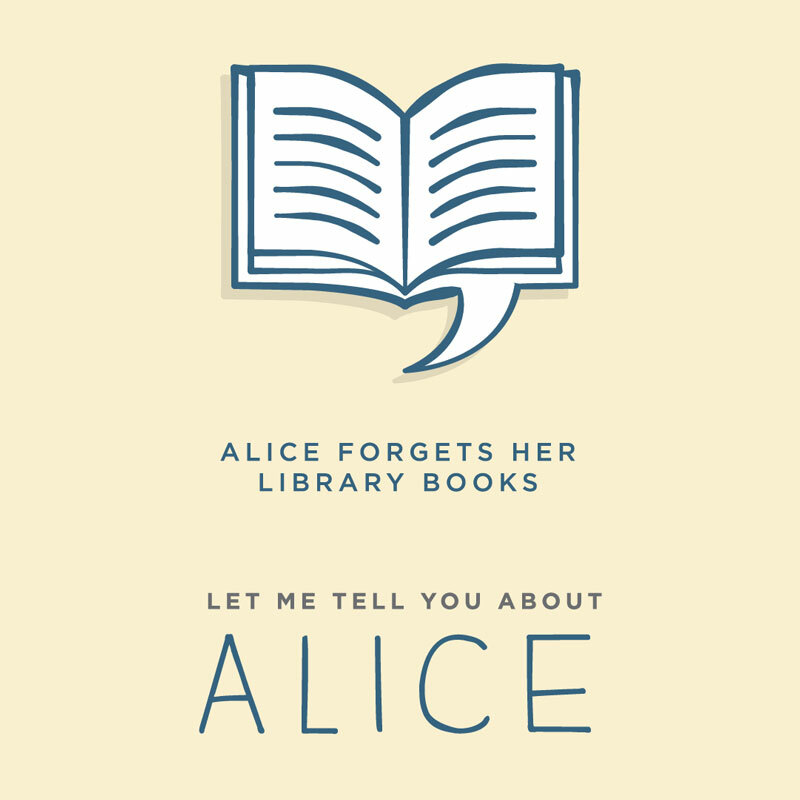 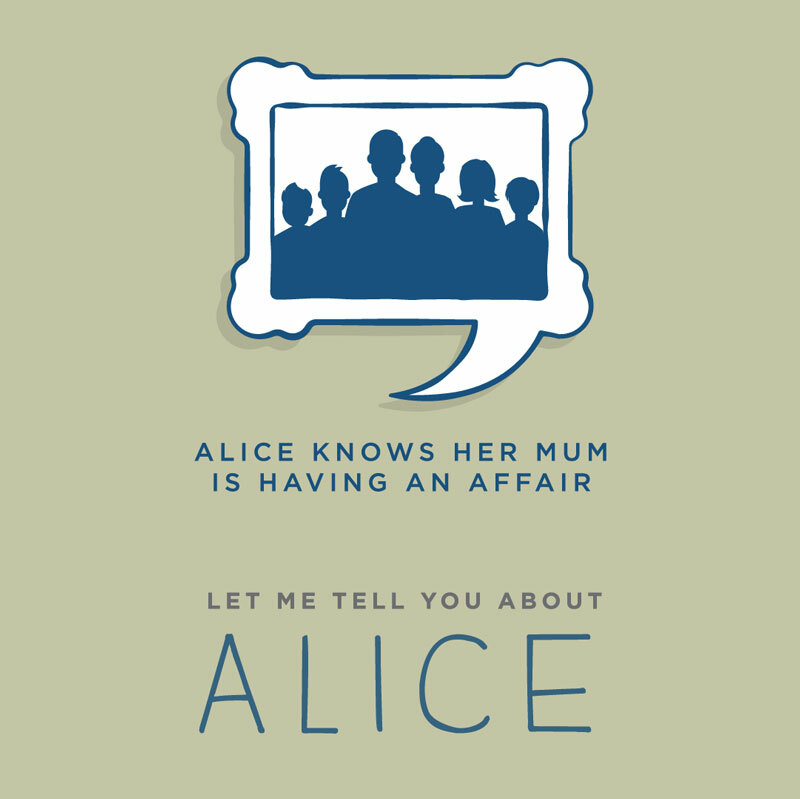 Previous speech bubble illustrations with new ones formed postcards to takeaway from the presentation, creating a real life element to previously fabricated scenes, as well as informing and re-affirming Alice’s overall narrative.